KSRealityBites: Childhood eczema predicts adult Asthma! Childhood eczema predicts adult Asthma! 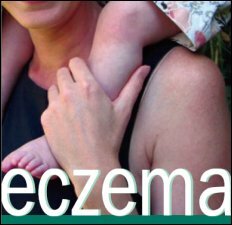 MELBOURNE: Researchers in Australia found that children who 've eczema are at increased risk of suffering from allergic asthma! Lead author Pamela Martin, a University of Melbourne doctoral student at the Murdoch Children Research Institute, analyzed survey data & skin prick testing data collected in the Tasmanian Longitudinal Health Study, which involved 1,400 participants. They were originally assessed about their allergies & childhood environment in 1968 at age 7 & were followed up in 2004, at age 44. The study, published online in the Journal of Allergy & Clinical Immunology, estimated that as much as 30% of current allergic asthma could be attributed to a history of childhood eczema & hay fever. "In this study we see that childhood eczema, particularly when hay fever also occurs, is a very strong predictor of who will suffer from allergic asthma in adult life," Martin says in a statement. "The implications of this study are that prevention a rigorous treatment of childhood eczema & hay fever may prevent the persistence & development of asthma."